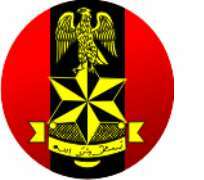 The General Officer Commanding 7 Division of the Nigerian Army, Major General Ibrahim Yusuf has commended the Nigerian Union of Journalists (NUJ), particularly the Borno state correspondent’s chapel for their role in counter insurgency war in the North-east. The GOC made the commendation, when the executive members of the Correspondent Chapel of NUJ Maiduguri paid him a courtesy call, at the Maimalari Barrack, Maiduguri yesterday. General Yusuf said by the time the history of counter insurgency war is going to be written, the role of the media is going to be written in gold, adding that the relationship that exist between the military and the media in Borno state is outstanding. He said the Army has enjoyed a lot of support from the working journalists in the state and assured that the Division will continue to work closely with the media to bring to an end the Boko Haram insurgency in the North-east. General Yusuf added the military are making progress in the war against Boko Haram and that very soon the war will come to an end and called on the general public, particularly those in the North-east to support the military by reporting any suspicious movement/ object to nearest security agents. While congratulating the GOC on his recent Promotion from Brigadier General to Major General, the chairman assured the GOC that working journalists in the state, particularly, the State Correspondents covering the whole of Borno state will continue to partner and support the military in its counter insurgency fight against the book Haram insurgents while praying for the end of the insurgency in the shortest time possible for peace to permanently return to the state and region as well as give the soldiers the grace to be with their families which they loss contact for long.